opportunities for parkland views, natural light, ventilation and privacy. 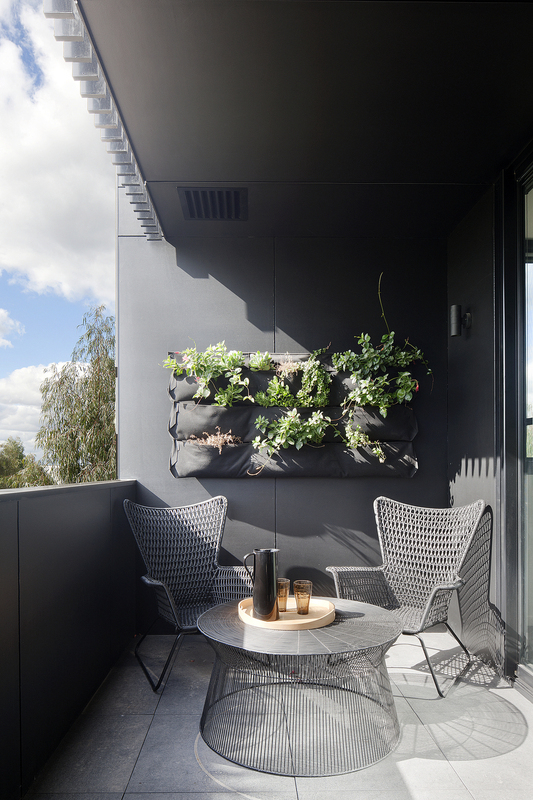 Shared entries located along the southern facade create a mews streetscape and allow almost all apartments to achieve north facing park viewing living areas and south facing bedrooms which facilitate natural ventilation throughout. Externally a simple and cost effective form combines textured precast panels with concrete blockwork and shiplapped lightweight cladding, softened by areas of natural sustainable timber. 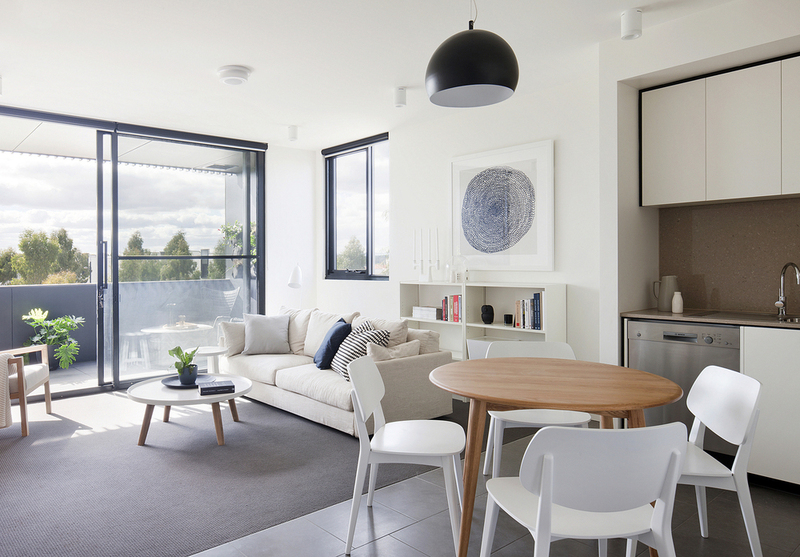 This new multi-residential project at University Hill in suburban Melbourne, consists of 52 apartments and a cafe over three levels within two buildings. The long northern edge of the site runs along an established park and the proposal’s orientation responds directly to both this and surrounding commercial and residential context to the west and east.